How does technology affect the way we communicate? Bit Time is an intergenerational project exploring how different generations engage with the tools we use to keep in touch. Signals is excited to be offering a series of FREE artist-led workshops across Basildon for both older and young people to work with artists and create interactive artworks for an exhibition using both old and new technologies. Will future generations treasure emails like we do hand written letters? How do you choose which app for what mate? We’re offering FREE 2hr workshops at Basildon Library where you can explore technology and learn some new digital skills with the help of our expert tutors. 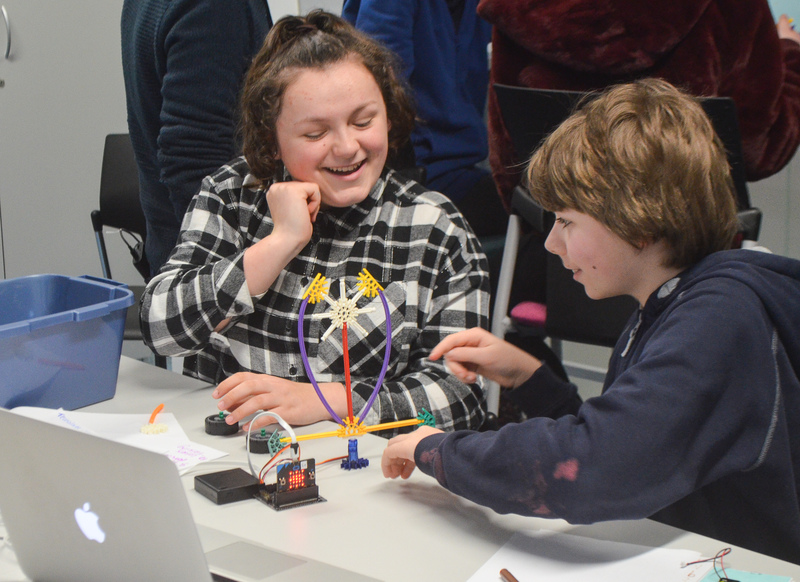 These workshops will gather and generate stories, memories and artwork relating to past, present and even future ways we communicate with technology. These ideas will then be augmented into an exciting interactive exhibition, using both old and new technologies, to be toured around Basildon in summer 2019. We have a workshop for ages 11+ on Tuesday 19th Feb, from 2-4pm we have an 11+ workshop. Absolutely no experience or equipment is required. Simply visit our Whats On page to book, or call 01206 560255. Additionally, on Tuesday 5th March we have a drop-in session for people age 65+. Perhaps you worked in communication technology as an engineer or operator? Or you have skills in tech we wouldn’t even know how to switch on today? Join us anytime between 2-4pm to share your stories, experiment with new technology and design communication devices of the future. No booking required. Would you like a free workshop in your school or community group? As well as our public workshops in Basildon Library, we’re looking for schools (primary and secondary) and older peoples community groups who want to get involved. We’re offering FREE 1-2hr workshops across Basildon where you can explore technology, learn some new digital skills and create exciting artwork with the help of our expert tutors. Simply email frazer_education@signals.org.uk to find out more.